We offer 4 to 10 hours of English preschool for children aged 2 to 4 years. Children can join 1 to 5 days a week. 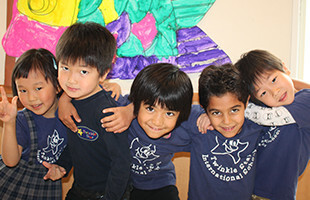 The English Kindergarten Program runs 5 days a week for 3 years until children enter elementary school. The Afternoon Program is for children aged 2 to 12, who are attending Kindergarten or elementary school, to attend after school once a week. 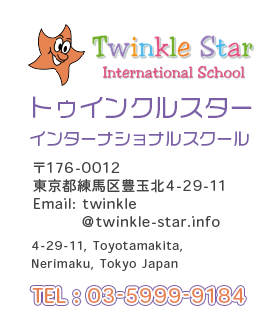 The Kindergarten Graduate Program is a curriculum for bilingual children who have graduated from English kindergarten and are now attending Japanese elementary school to further their English skills. 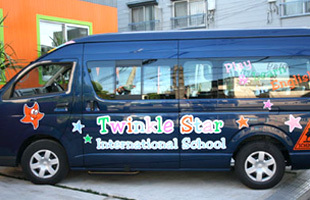 At Twinkle Star, a lot of effort is put into running various activities in order to discover and nurture each child’s hidden talent. 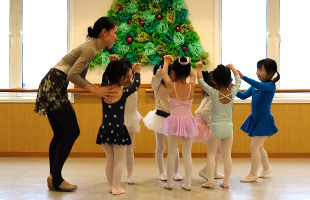 At activity clubs, lessons are taught in English by professional teachers.